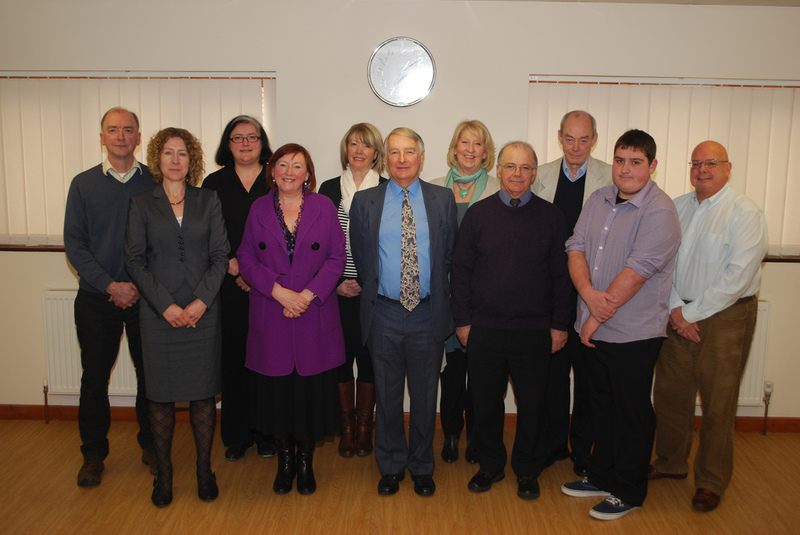 Left to right: Robert Spivey, Shona Bendix, Charlotte Clark, Alison Wheeler (General Manager), Marion Harvey, Clive Fox, Sylvia Knights, Colin Owens, Michael Readman, Ryan Jay, Mike Hosking. Does not include Graham Watson. Suffolk Libraries IPS Board met for the first time last week as the first steps towards transferring Suffolk's libraries from the County Council to the new industrial and provident society began. The interim board Chaired by Colin Fox and new General Manager Alison Wheeler were joined by the new board members as shown above. Guenever Pachent attended as the representative of the County Council. 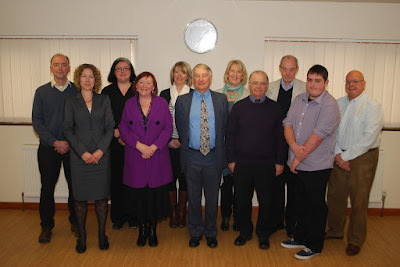 All the board members were present with the exception of Graham Watson, Director of the Seckford Foundation. The board decided that it had so much to do that it needs to meet every two weeks - rather than each month. They also discussed what the contract with the County Council might look like - this will obviously be a key area. Not many decisions were made at the meeting but they did set up two committees and "champions" for individual areas like communications, ICT and HR. The Board also agreed to continue with site visits to Bungay and Stradbroke later this week. In addition a meeting for all the pilots and the IPS will be held in March. Interestingly the Board decided that it would not formally agree its staffing structure until after the "TUPE" consultations are finished with staff. These formal legal consultations (Transfer of Undertaking and Protection of Employment) are an important part of transferring staff from one organisation to another and are taking place in February and March. I am pleased to see the Board wanting to look into the staffing numbers and structures before rushing into redundancies that Suffolk County Council seemed to be trailing even before the IPS was even created.